POWERPOINT REVIEW GAME TEMPLATES | Hey Mr. Wilson! Download the PowerPoint template and sound files and place them altogether into one folder. 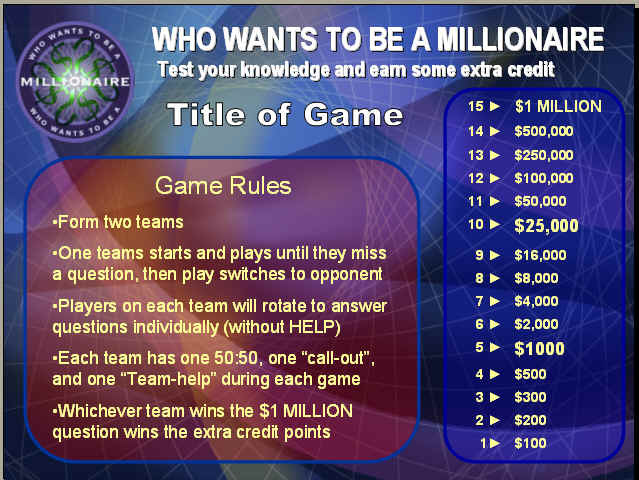 Start each team with $3000 (points) and tally ongoing points on white board. If a team gets the question right they score that number of points. Wrong, and they are deducted that many points. Teams continue to answer until they get a question wrong. 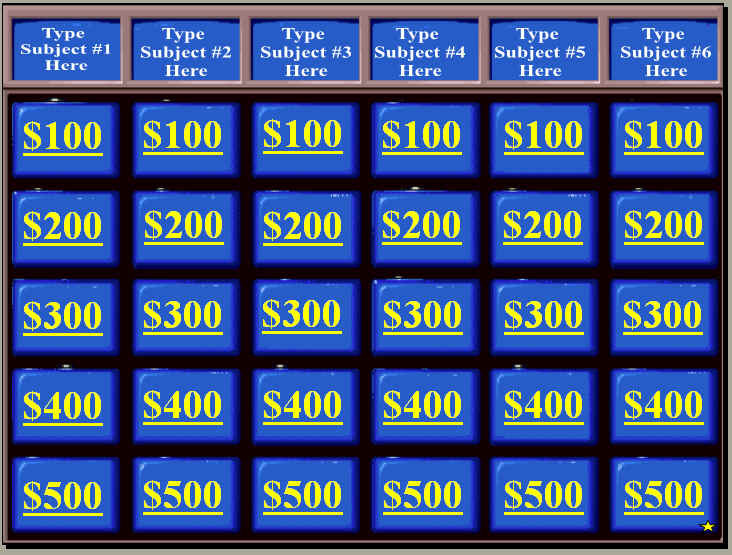 When you finish the first Jeopardy game, click the “STAR” at bottom right hand corner to begin Double Jeopardy. When questions are all answered, click the “STAR” at bottom right hand corner to begin “Final Jeopardy Question”. Have each team write down their wager and start question. Fill in “Title” on Slide 2 and 3. Remind each team they can use a single “Phone Call” or 50:50 during the game. They can also use a “Team” if you are having students individually answer questions. Begin entering questions and answers. For most of the questions, you will have to copy/paste questions and answers for multiple numbered questions (because of strikes, etc., there is more than one slide labeled “Question 3”. You will need to duplicate the questions and answers on each of them. Begin game. Give students a specified time to answer questions. To check answer, click inside question box and answer will appear. If right, click green button on the bottom of screen. If wrong, click red button on bottom. It will direct you to the correct slide that tallies the number of strikes automatically. I usually have the class play as a single team. They can all earn extra credit. 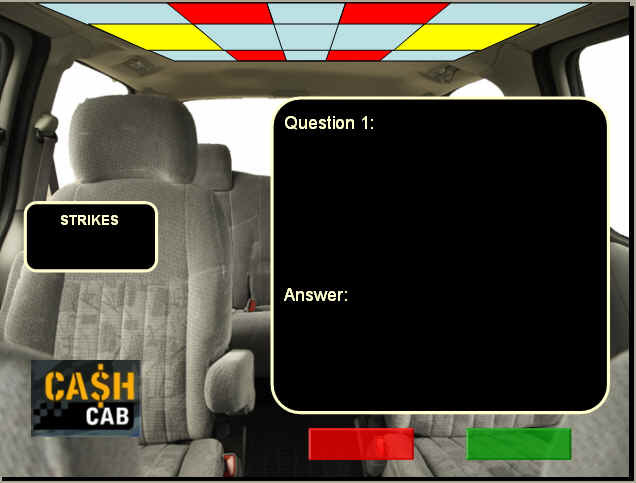 I offer a couple points of credit to each student if they answer all the questions without getting three strikes. If they answer the Red Light Question correctly I give them an additional point. At the end of the game, they can either choose to take the points they earned or go double-or-nothing on the video bonus question.